The Simplicity & Complexity of time, using a neon display of light. 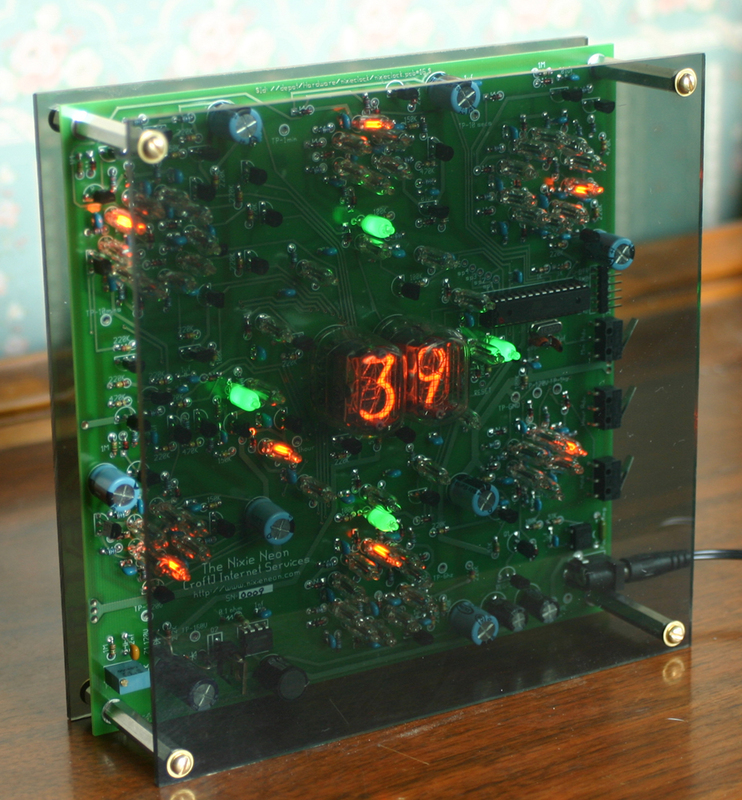 This clock displays the precision movement of time and is programmable to display “ Time Chaos” at different intervals. The NixieNeon Clock then resets itself to the correct time in an eye-catching ballet of luminosity. Building this kit should thrill any enthusiast. It consists of over 400 components, including 10 spare neon bulbs. The PCB is 7.25"x 7.25"